Adult Snow Plow is a design by Collin Bogle. 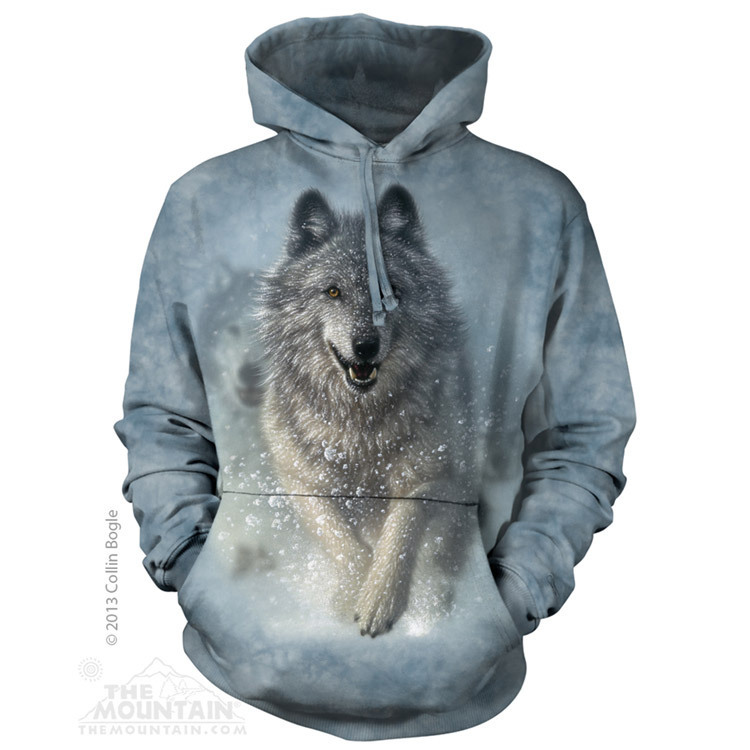 This pullover wolf hoodie is warm, cozy with front hand pockets and hood. 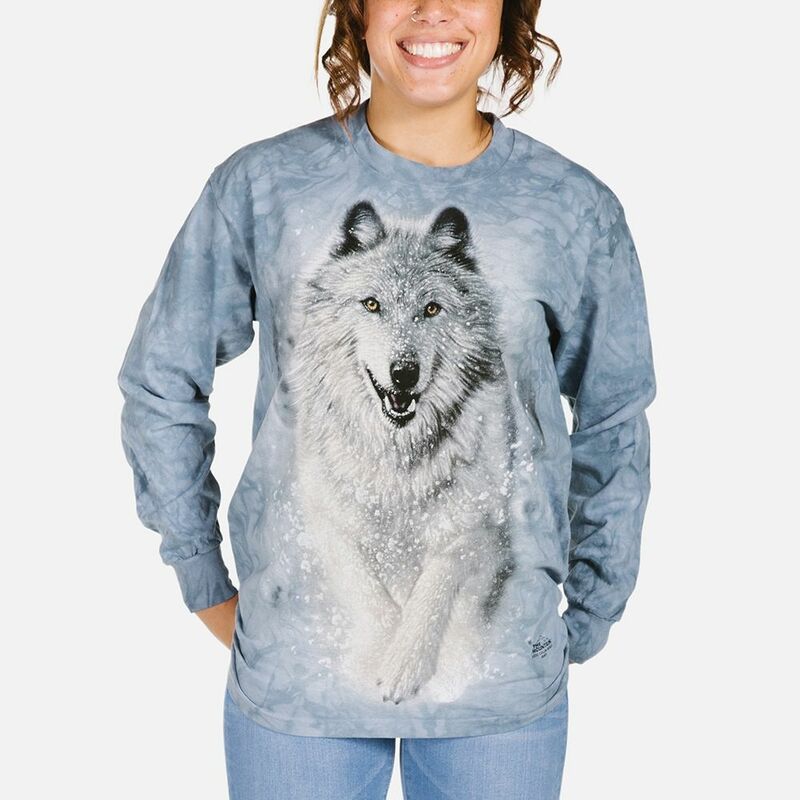 The design features wolves running through the snow. Artist Corner: Collin Bogle is an American artist who is the son of a renowned artist. He has created some of the most realistic wildlife and floral art. He lives in Seattle, Washington where he is inspired by a lot of the wildlife there. 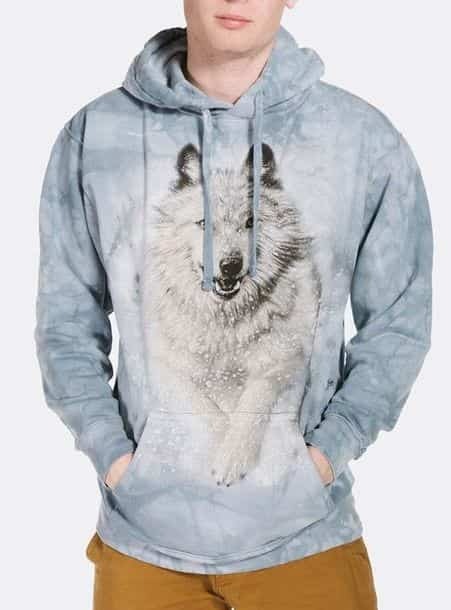 His wolves are a particular favourite of our customers. Great for winter and it's lovely and warm, it came in perfect condition in the post.